This last weekend I got to go on an adve nture all on my own. Now, I’ve traveled on my own before–really only road trips, but on a plane to Chicago, being all on my own became distinctly real. 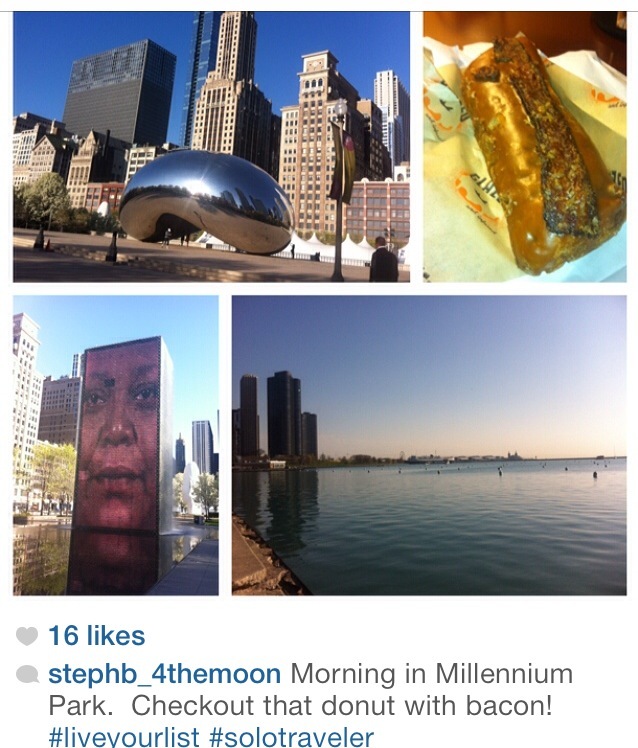 Like every trip I’ve been on, I started instagramming my adventure. That is when I came up with the hashtag: #solotraveler. My mind was racing; this could be really fun! Tips and stories of traveling solo. I don’t do it often; in fact, I very much prefer the company of others being the extravert that I am. Yet, there is something about being on one’s own that can be empowering with the sense of independence and adventure. Don’t be afraid to travel solo, just be wise about it. Preplan, be confident, and avoid dangerous situations. 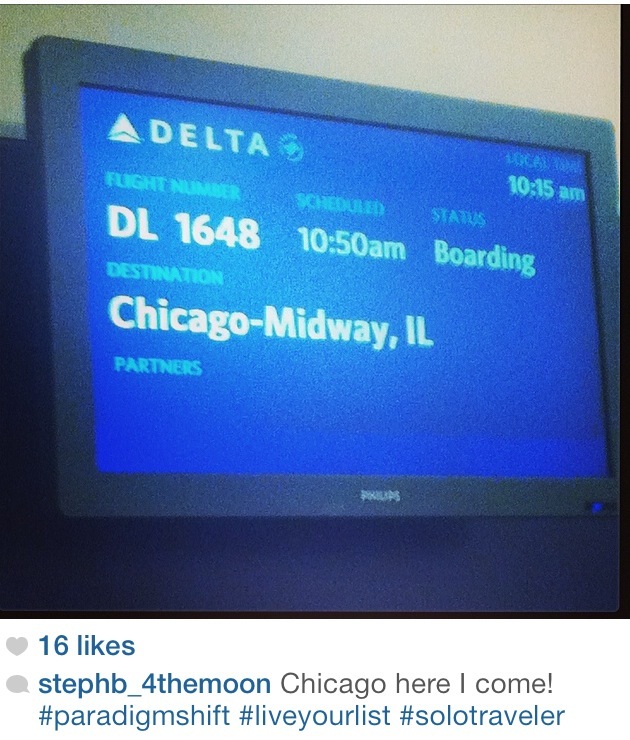 For example, I got to my hotel right before sunset to avoid being on my own walking the streets of Chicago at night. Headphones are always handy-plane rides, bus rides, talking on the phone while looking at google maps, and fitting in (often times in big cities, such as New York City and Chicago, locals alone have headphones in. Never be afraid to chat with your seat buddy on a plane because you could always make a new friend. If it doesn’t go well, resort to headphones. Research great apps for your trip. They can save you money, save you time, and overall make your trip smoother. For example, the app “citymapper” made traveling around Chicago such a breeze to the point that I got asked for directions. Lighten the luggage is smart. I was only on a two day and one night trip, so I managed to get all my stuff and the workshop in one backpack. It helped when I couldn’t check into my hotel for hours after landing in Chicago, and gave me the chance to I explore the city with just my backpack. That’s all for now. Do you have any traveling tips or stories??? Posted in adventures, inspiration, live your list, planning, solotraveler, tips, traveling and tagged #LiveYourList, #solotraveler, adventures, Inspiration, planning, tips, traveling. Bookmark the permalink.